UPDATE: Launch was postponed by one day due to technical reasons now Saturday, September 19 at 2300 UT. The first pass over the mid-USA is expected at 00:05 UT on Sunday, September 20 and they should be in range of the UK at 05:21 UT – Frequencies Here – It is expected that initially only the telemetry beacons will be active. For the latest information check the AMSAT Bulletin Board. 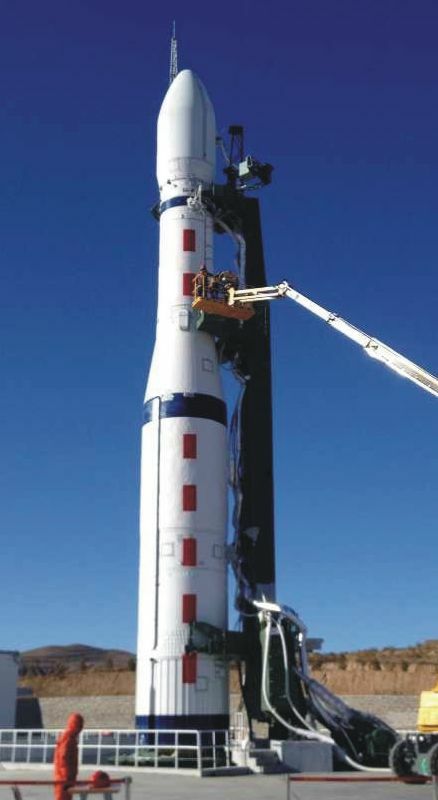 The satellites will be launched on Beijing’s new Chang Zheng 6 (CZ-6) rocket from the Taiyuan Satellite Launch Center. It is understood the CZ-6 is carrying at least nine satellites with payloads operating in amateur bands. They include six satellites (designated XW-2A to XW-2F) with 435/145 MHz linear transponders for SSB/CW communications, and one satellite, LilacSat-2 (CAS-3H) with an FM voice transponder and APRS. The frequencies to be used by the satellites are here. Some satellite frequencies fall outside the international amateur satellite bandplan, so please be aware of local terrestrial users. XW-2A should operate in a sun-synchronous orbit at an altitude of about 450 km, with the other satellites at an altitude of about 530 km. Please send reception reports to the AMSAT Bulletin Board (sign up at http://www.amsat.org/mailman/listinfo/amsat-bb) amsat-bb@amsat.org or #amsat on Twitter. WEI Mingchuan BG2BHC says: LilacSat-2 website http://lilacsat.hit.edu.cn/ and telemetry decoder based on GNU Radio https://github.com/bg2bhc/gr-lilacsat are now available. A Live CD is coming soon.